ሐሳብን በነጻነት የመግለጽ ነጻነት ለዘላለም ይኑር! It has been five years since the establishment of Zone 9. Five years of hope and melancholy. As it was said for many times in many places, hope triggered us to establish the collective. The hope of nine optimist Ethiopians who happened to get together online. Since the establishment of the collective, we passed through many, oftentimes inspirational and sometimes frustrating realities. 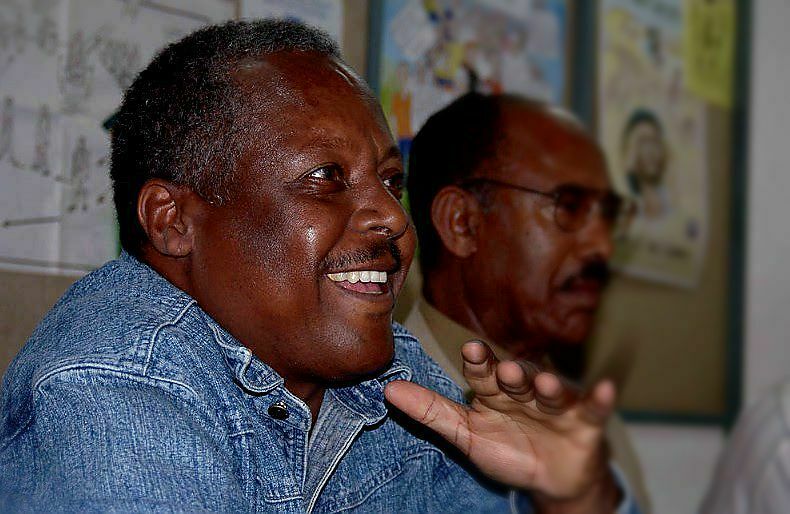 Looking back to the bygone years, we find that it’s imperative to reflect on a life of a dissident in the present days Ethiopia and, the optimism and bummer we experienced. It’s needless to say that, the current Ethiopia is one of the most dangerous places in the globe for free ideas. Rather, what is to be like living in such precarious place as a blogger who speaks what s/he thinks? How can an activist grapple with such daily downers? Why every new day appears to be worse than the previous day? Why we’re writing and how it impacted our readers? These are some of the questions we’re struggled to answer every now and then. When we began this journey of collectivizing our individual effort, we were looking for disciplining and helping ourselves. Helping ourselves by knowing our country more and widening our horizon of knowledge. That’s why we always say that the foremost beneficiaries of our little effort are - we the members of the collective. However, when we heard/read from other fellow Ethiopians about how much they’re inspired by what we did - we rejoice. Nothing is as ecstatic as fulfilling self-interest while being a reason to inspire others. We start blogging aimed at creating an independent platform that hosts multi-views and multi-perspectives, which naturally exist in every community, let alone in a country as big as Ethiopia. Was that a successful endeavor? Roaring no. This happened partly, because those in power are hostile to the revered market of ideas and partly because we failed to deliver our promises—because we were not working as much as our energy. However, we’re proud of every little effort exerted to realize a civilized discourse in our collective and we’re committed to scale it up further. Blogging was playing such a therapeutic role on each of our lives. Our motto “we blog because we care” well sum what we’re referring the therapeutic role. We care about our rights so that we blog. The fact that we along with fellow Ethiopians are dispossessed of those natural rights and our inherently embedded rights are jeopardized triggered us to blog. Speaking about our rights eases the pain of living under a state which couldn’t care less about respecting its own law. In this sense, blogging was helping us in grappling with this menace of life - oppression. Blogging enabled us to create a wide network of friendship and company. By networking each other and beyond, we learn the essential lesson of group work and collective effort. That’s what we dreamed for our country. On the down side, a collective effort appeared to be prone for targeting by the regime and surrogates alike. This was an essential lesson for us that knowing the foremost enemies of tyranny are collective effort and moderate engagement. Learning the lesson makes us stronger. Counting the love and solidarity from many of you inspired us to everyday, and optimism heals our wounds. Currently, we’re vastly engaged with activism responsibilities beyond blogging. Still, our hopes of bringing betterment within collective effort and direct engagement will succeed if we, citizens who care about our own rights, hold hand in hand. It is in this optimism that we, on our fifth anniversary, make calls to Zone 9 fellow followers to contribute pieces of writing to this end.